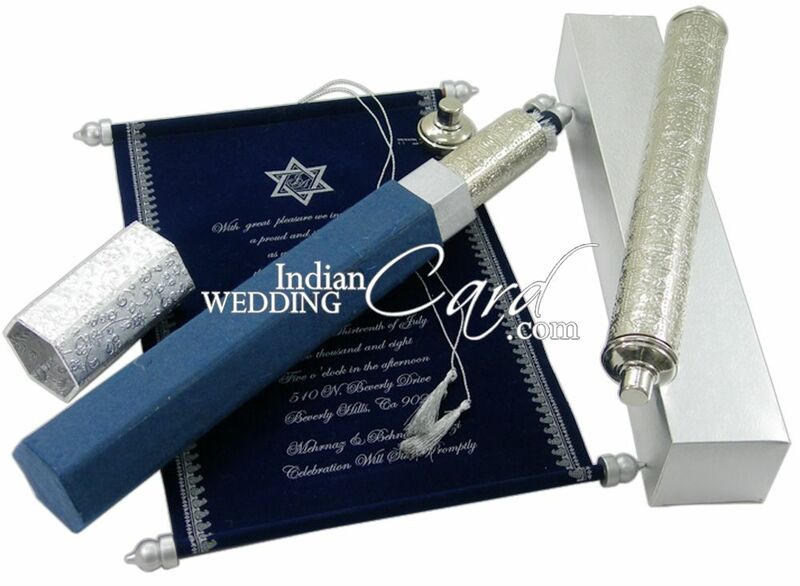 S118, Blue Color, Scroll Invitations, Jewish Invitations, High End Scrolls, Fabric Scrolls. 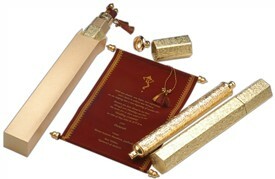 A scroll card, which promises to become a legacy! 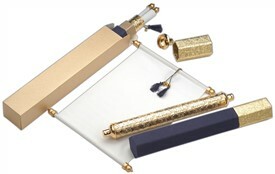 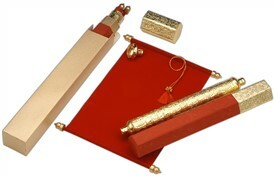 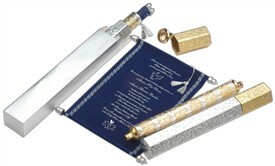 The scroll is in blue velvet with silver bars and tassel. 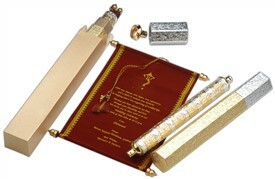 The scroll gets inside the silver metal case with exquisite engraving work. 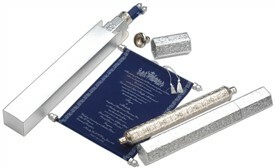 This then is contained in a blue and silver combination box. 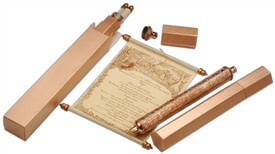 The bronze envelope consumes it all for a perfectly packaged surprise for you.